Custom moccasin shoes are a real treat for the feet, especially for people with problem feet for feet that are difficult to fit. 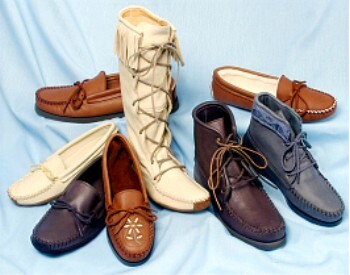 Footwear by Footskins carries handmade moccasin shoes in regular stock sizes, which are fine for most people. However, we understand that not all feet fit the same and sometimes a person requires custom made footwear. 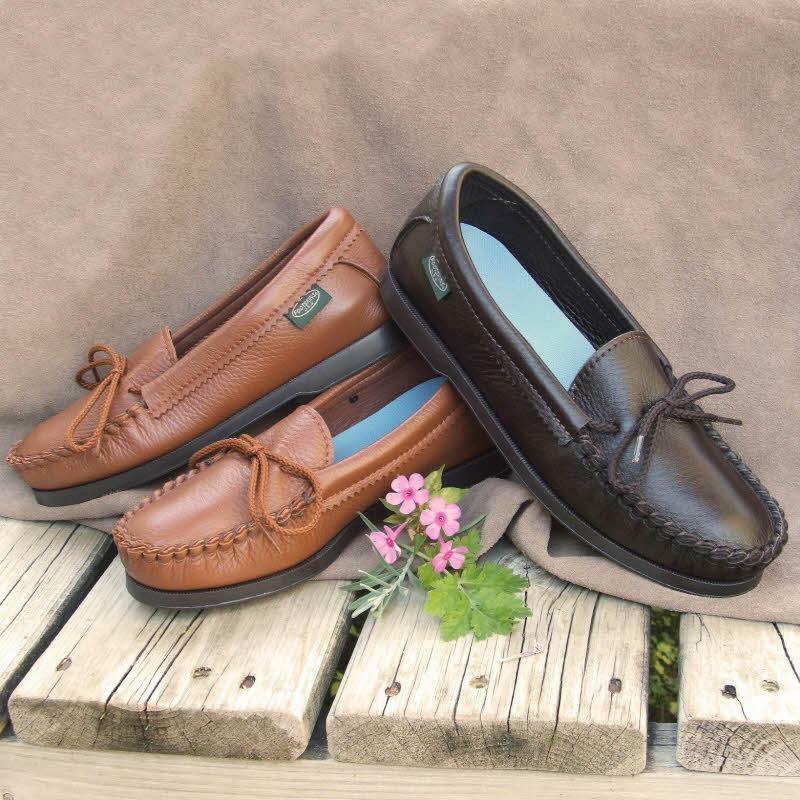 That’s why we also offer Made-To-Order Custom Made Moccasin Shoes and custom comfort footwear for both men and women, made from soft, breathable deerskin leather or genuine cowhide leather. For sensitive or problem feet we recommend double layer deerskin leather since it will mold and shape to your feet much better than cowhide. How is Custom Fitting Footwear Different? There's a difference between custom made moccasin shoes and custom fitted ones. A custom fitting means testing numerous pairs of shoes to find a pair that fits with the least amount of discomfort. It is not uncommon for an individual to have different sized feet and many people experience great difficulty choosing a store product without having to compromise the comfort of one foot for the other. Mass produced footwear doesn't allow for altering the size within a pair or for problem areas in your feet. Just like there are all kinds of people…there are all kinds of feet; sensitive feet, narrow feet, wide feet, different sized feet and feet deformed by disease, age or surgery. When ordinary off-the-shelf footwear just isn't good enough, custom made moccasin shoes may be just the answer. Footwear by Footskins can hand make custom made moccasin shoes, plus men’s and ladies Casual Shoes and Comfort Shoes so you can have the proper fitting shoe for each foot. All custom made moccasin footwear is made to order from individual patterns that you provide so that each shoe will be the exact size and shape of the foot it was designed for. Along with custom deerskin moccasin shoes, we can also custom make Deerskin Moccasin Boots, and Deerskin Moccasin Slippers for virtually any size or shape of foot. Order Custom Moccasin Shoes Now! Whether your feet require custom made moccasin shoes by necessity or choice, Footwear by Footskins has the solution for you. We can custom fit virtually any size or shape of feet. Orders for custom moccasin shoes take 6-8 weeks to process and are individually priced. call us at 507-498-3707 weekdays, 8:00 – 5:00, CST. "Just emailing to let you know what a fantastic job you did on my custom made moccasins. The comfort is unbelievable and your skills are much appreciated! and the speed in which our order was filled...Thanks again for an awesome pair of moccasins."